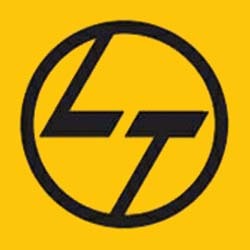 Larsen & Toubro (L&T) and Howden have signed a JV pact to design, engineer, assemble and supply axial fans and air pre heaters to Indian thermal power facilities ranging between 100 MW to 1200 MW. These products form essential components of energy efficient thermal power facilities. The JV will make investment of around Rs 1 billion for establishing the industrial facility and related infrastructure. The manufacturing plant will be established in Hazira, Gujarat and its operations are likely to start by the coming year. Mr. Ravi Uppal, MD & CEO, L&T Power and Mr. Bob Cleland, CEO - Howden Global signed JV pact in Mumbai in the company of A M Naik, Chairman and Managing Director, L&T. This strategic joint venture permits L&T to join forces with a worldwide technology head, and provides Howden access to the rapidly growing Indian power plant equipment market. L&T also has JVs with MHI for the manufacturing of Super Critical Boilers, Steam Turbines and Generators.